There is a promise from God in Jeremiah 29:11 that is often quoted by Christians and nearly just as often misinterpreted. God says: "For I know the plans I have for you, plans to prosper you and not harm you, plans to give you hope and a future" (Jeremiah 29:11). Sadly, we sometimes pluck verses from their context and don't fully grasp the meaning of the text. For example, if you claim Jeremiah 29:11 as a promise that God is about to change your circumstances for the better, then you have wrongly understood God's promise. Though I may not take away your problems, I will give you the grace to bloom and prosper where I plant you. 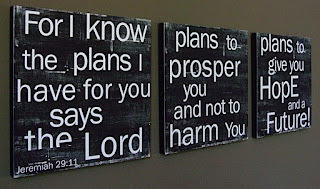 That's the meaning of God's promise in Jeremiah 29:11. 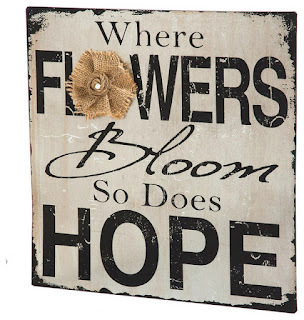 "Bloom where you are planted" (Jeremiah 29:5) is an ancient biblical phrase that has its roots in the context God's promise to prosper His people in Jeremiah 29:11. Jeremiah was a prophet to God's people during a very difficult time. In 612 B.C. a wicked and brutal empire took control of the world. 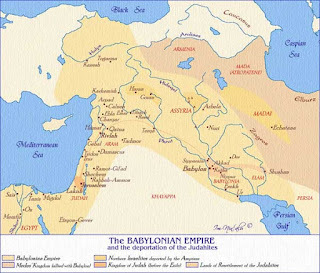 The Babylonians (sometimes called the Chaldeans in the Bible) defeated the ancient Assyrians and the Egyptians and took the stage as world conquerors. Each successive attack during this 21-year time period was more brutal than the previous one, ending in 586 B.C. with the destruction of the Jewish Temple and the desolation of the entire city of Jerusalem. It was during Nebuchadnezzar's first aggressive move against Jerusalem (609/608 B.C.) that Daniel, his three friends (Shadrach, Meshach, and Abednego), and other Jewish leaders were taken captive. A decade later (597 B.C. ), Nebuchadnezzar came back to Jerusalem to get more Jewish artisans and craftsmen to help the Babylonian Empire build better roads, erect stronger walls, and create greater weapons. Nebuchadnezzar didn't take all the Jews into captivity. More Jews remained in Jerusalem after 597 B.C. than were taken to Babylon as prisoners. One of those who remained in Jerusalem after 597 B.C. was the prophet, Jeremiah. The prophet began placing a yoke around his neck proclaiming to God's people that the Babylonian captivity would last "until the seventy years for Babylon have expired" (Jeremiah 29:10 NAS). In 586 B.C. Nebuchadnezzar made his third and final advance on Jerusalem and destroyed the city and took the majority of God's people back to Babylon as captives. This is what the Bible calls "The Babylonian Exile." Jeremiah the prophet kept telling God's people that their problems would continue until seven decades had passed. The seventy years of problems God's people had with the Babylonians began in 609 B.C. and would only come to an end in October 539 B.C. when the Persian King Cyrus invaded Babylon and conquered the Babylonians and freed the Jews. Think about that for a moment. For 70 years the Jews would be subjugated by the wicked kings of Babylon. That's a long time for God's people to be held in Babylonian captivity. The United States war in Iraq has lasted a little over 15 years. Can you imagine having your husband, son or other loved one in Iraq without having the ability to see him or hear from him for decades? Or reverse the role. How would you like to be a young Jewish artisan or servant in the Babylonian Empire like Daniel and his friends, only to hear in a letter from Jeremiah that your captivity will only end after Babylon's 70-year world reign comes to an end? More than a few Jews didn't like hearing Jeremiah's proclamations of long captivity (Jeremiah 25:1-14). One such Jew was a priest and false prophet named Hananiah. He mocked Jeremiah's prophecy (see Jeremiah 28), ripped the wooden yoke off Jeremiah's neck, and told the people that "God told me the captivity would last just two more years" (Jeremiah 28:3). The Jews in Jerusalem began believing the false promise that God would change their circumstances soon. Take wives and become the fathers of sons and daughters, and take wives for your sons and give your daughters to husbands, that they may bear sons and daughters; and multiply there and do not decrease. Seek the welfare of the city where I have sent you into exile, and pray to the Lord on its behalf; for in its welfare you will have welfare. For thus says the Lord of hosts, the God of Israel, ‘Do not let your prophets who are in your midst and your diviners deceive you, and do not listen to the dreams which they dream. For they prophesy falsely to you in My name; I have not sent them,' declares the Lord. For thus says the Lord, ‘When seventy years have been completed for Babylon, I will visit you and fulfill My good word to you, to bring you back to this place (Jerusalem)." God is telling His people that - contrary to the testimony of the Jewish false prophets - the captivity will NOT be short, but their problems as prisoners of war in Babylon will go on for a full 70 years. 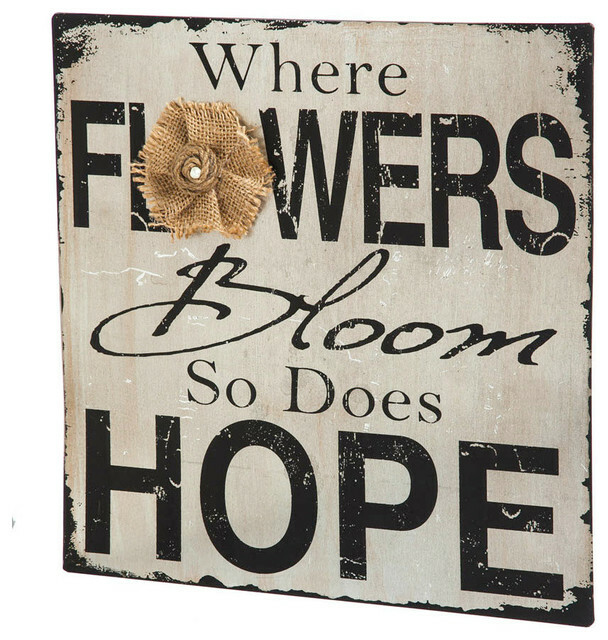 Go ahead and bloom where you are planted. Have prosperity in the midst of your problems. "For I know the plans that I have for you,’ declares the Lord, ‘plans for welfare and not for calamity to give you a future and a hope." I'd like to ask you a question. Which prophecy inspires more hope? Is it Hananiah's false prophecy of captivity for less than two years? Or is it Jeremiah's prophecy to "bloom where you are planted" and experience a long captivity of 70 years? False prophecies about quick changes in circumstances are much more compelling. We want God to take away our problems. But God always has a greater purpose, and His promise is that He will prosper us through our problems. 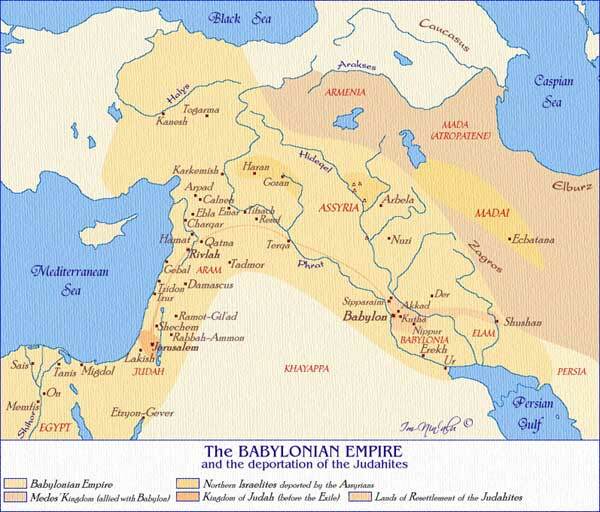 Babylon would last as an empire for 70 years. 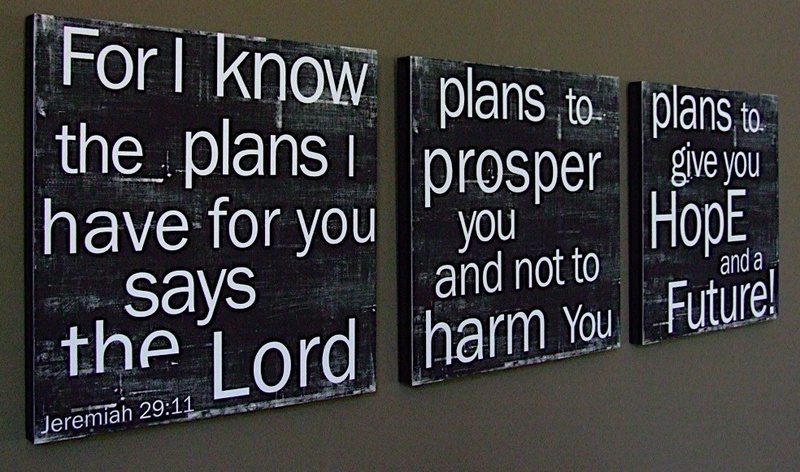 Jeremiah knew this, for God told him (see both Jeremiah 25:1-14 and Jeremiah 29:10). That means when Jeremiah sent his letter to the Jews in Babylon in 597 B.C. the Jews still had an additional fifty-eight years of captivity left. 58 more years of captivity versus 2 more years of captivity. Hananiah's false prophecy of problems going away quickly sounds better and makes everyone feel better. But God's promise for prosperity in Jeremiah 29:11 is about prospering in the midst of your problems because you know God has a greater purpose, and your problems are part of that purpose. You exist for God's purposes, not your personal pleasures. And though God's purposes for our lives are always best and good for His greater purpose, they are not all the time comfortable and pleasurable for personal pleasure. Don't waste your sorrows. God is good, and He's told us to bloom where He's planted us, for His glory and for our good. The common trap laid for us by our enemy is the one where we measure our personal prosperity by how quickly God changes our environment for the better. It would be wise for all of us to stop assessing God's favor in this manner. God's purposes are much broader than our individual lives. That doesn't mean God doesn't care about me or you, for He does. He gave each of us His only Son. To "bloom where you are planted," is to trust that God knows the bigger picture and is at work on a grander scale, fulfilling a greater purpose that we can't even understand right now. So any measurement of my personal prosperity or God's favor for me must always be independent of my current circumstances. God is at work even when I can't see it. And what God is doing is much grander, much more glorious. One of the men who heeded Jeremiah's words to "bloom where you are planted" was the prophet, Daniel. We know that Daniel often read Jeremiah's letters while he was in Babylonian captivity (see Daniel 9:2). Daniel listened and obeyed God's instructions in Jeremiah 29:11. He bloomed where God planted him. He prospered in the midst of problems. Daniel built a house. He planted a garden for his produce. He prayed for the wicked kings of Babylon. He lived in peace. He was present at the king's palace during October 539 B.C. -- exactly 70 years after Babylon had become a world empire - when the hand of God wrote on the wall "Mene, mene, tekel upharsin." That very night in October 539 B.C. God's justice was executed against the Babylonians and the Babylonian Empire came to an end. God had led His servant Cyrus, King of Persia, to divert the Euphrates River and the Persian army crawled under the great walls of Babylon on a dry river bed and took the city as their own. God's purpose for Babylon was over. Daniel never left Persia to go back to Jerusalem, even though Cyrus allowed the Jews to return and rebuild the Temple and their city. Daniel's tomb is in Susa (Iran), the ancient capital of Persia (modern Iran). Because the Persians loved Daniel's ability to "foresee the future," they deemed him the greatest "magi" of all. The Persians revered Daniel, kept his scrolls in Persia and studied them at their universities. The magi in the east came to understand through reading Daniel's scroll (the book of Daniel), that a great King - a King above all Kings - would be born among the Jews. The magi eventually sought Jesus because Daniel bloomed where he was planted. I propose that if you find yourself in a difficult situation that God seems in no hurry to change, and if you learn like the ancient Jews to "bloom where you are planted," there will come a day when those around you will come looking for your King. Note: This article is an excerpt from Wade's book Radically New. Oh I love this. The paraphrase “grow where you’re planted” became my anchor many years ago when life was very unstable and the kids were young. We ended up moving to a town in which I swore I would NEVER live and sent our kids to a school I swore I would NEVER send them to. I was absolutely miserable the first couple years until I picked up a little green tract in a doctors waiting room that talked about Jeremiah 29. The picture on the front was a line drawing of a single stem flower with the words beneath that said “Grow where you’re planted.” As I read the tract, I felt a ray of hope believing that perhaps God had planted me here for a reason. Granted, we still had a lot of ups and downs, but that mandate kept me grounded while my spiritual roots grew deeper. It became even more powerful years later as I read the whole thing in context knowing I didn’t have it nearly as bad as they did. :) I was very thankful for that timely tract. Great article Pastor Wade. Thank you. That was a fun read that took me back. In your statement: - “More than a few Jews didn't like hearing Jeremiah's proclamations of long captivity (Jeremiah 25:25).” The Jeremiah 25:25 reference does not match the actual scripture which is “Jeremiah 25:25: - all the kings of Zimri, all the kings of Elam, and all the kings of the Medes;”. Can you edit the blog and provide the correct reference.
" ... since He who came was . . . to call the world to the worship of Himself, and to be worshipped in all land and sea, straightway, from the beginning, He opens the door to the Gentiles, willing through strangers to admonish His own people. Thus, because the prophets were continually heard speaking of His advent, and they (His own people) gave no great heed, He made even barbarians (the Magi) come from a far country, to seek after the king that was among them. And they (Herod) learn from a Persian tongue first of all, what they would not submit to learn from the prophets ..."
That quote from Chrysostom is why it is said that the Word was always intended to reach and to include all of Creation in its healing. It looks very much like God Himself, by His Providence, laid the groundwork for this progression in ways that we can actually discover from the Scriptures and from the commentary of the early Church . . .
All great Nations crumble from within and as the Jews were punished for their sins, America will suffer the same fate if things don’t change. This link says 72% of Black babies are born out of wedlock. Money from the Government encourages these mothers not to get married. Statistics show these babies become a higher rate of school dropouts and involved in crime. The above link involves the group, “Black Lives Matter”. Where is Jeremiah when we need him? I hope people have an opportunity to hear Jeff Flake's speech today. I hope Jeff Flake exits Congress quickly and does something more socially constructive with his time.